Underscoring Poland's growing isolation in the bloc since the rightwing Law and Justice (PiS) party took office in 2015, no senior foreign delegations are expected to visit on Sunday. "The absence of foreign delegations is the result of the PiS's behaviour in Europe. 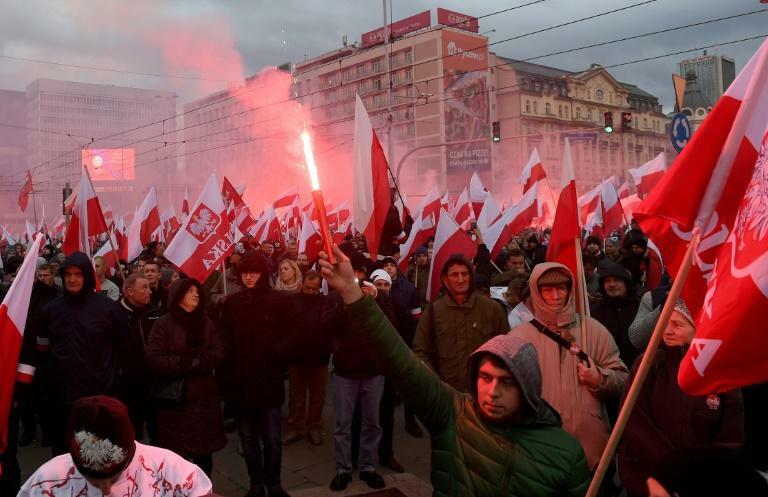 Nobody wants to come here anymore," Stanislaw Mocek, a Warsaw-based political analyst, told AFP. He declined an invitation to the ceremonies in France to be in Warsaw amid speculation that he may run for Poland's presidency in 2020. "I don't want there to be an impression that Poland is completely alone," said Tusk, a liberal whom powerful PiS party chief Jaroslaw Kaczynski sees as his arch-rival. Widely regarded as Poland's de facto powerbroker, Kaczynski has played a key role behind the scenes in shaping both domestic and foreign policy since the PiS took office. 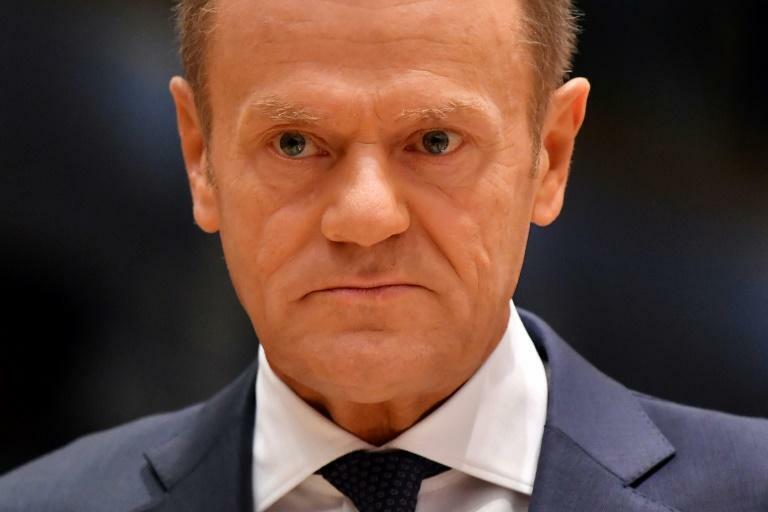 Tusk on Monday also warned that PiS policies posed "the deadly serious risk" of a "Polexit", which would see Poland crash out of the EU despite the bloc's popularity among Poles and Kaczynski's many assurances that his party has no such designs. Chaos has engulfed hasty official preparations just days ahead of the centenary. 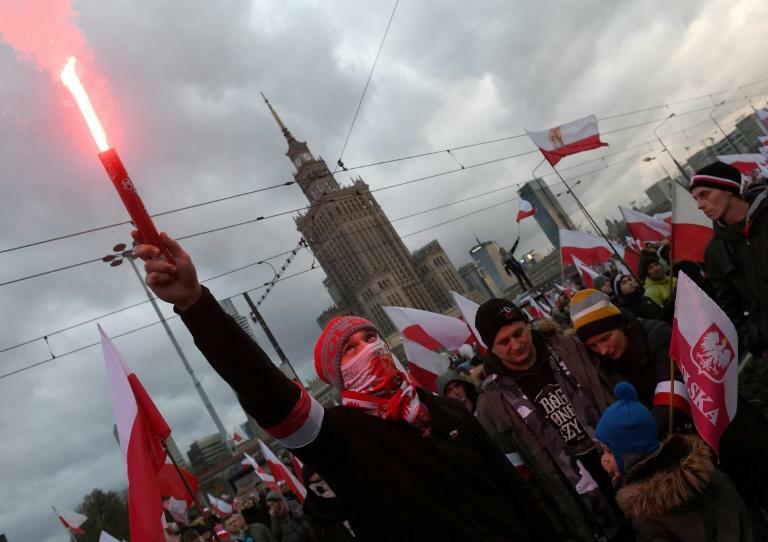 PiS-allied President Andrzej Duda and Prime Minister Mateusz Morawiecki on Wednesday called a last-minute official march in Warsaw, just hours after the capital's liberal mayor banned one planned by far-right groups for the occasion, deeming it unsafe and inappropriate. Those groups, however, won an appeal against the ban in court on Thursday and have vowed to proceed regardless of the state march that Duda is due to lead at the same time along the same route. An independence day march organised by far-right and nationalist groups last year triggered international outrage and condemnation after some of its participants shouted racist and anti-immigrant slogans and displayed banners with a similar message. The annual independence day event was organised in part by the National Radical Camp (ONR), a group with roots stretching back to an anti-semitic pre-World War II movement. The organisers have said they expect between 100,000 and 250,000 participants after last year's march drew around 60,000. While many participants denied sympathy for extreme right groups, the event also drew representatives of far-right parties from Britain, Hungary, Italy and Slovakia. Speaking to the foreign press corps on Thursday, Morawiecki vowed that authorities would provide a heavy security presence and act "decisively" against far-right symbols or actions displayed in public, something that is banned by law in Poland. "There is a clear red line between patriotic behaviour and nationalistic or chauvinistic (behaviour), or neo-Nazis," he added. While robust economic growth coupled with the PiS government's generous social welfare measures and conservative stance have garnered it support, especially among more conservative voters, its judicial reforms have also sparked outrage among centrists and liberals, giving rise to a deeply polarised nation. "The country is torn apart. We're talking about two separate Polands: one liberal, worried about the free market and civil freedoms, and the other, conservative, statist, wanting to control everything and everyone," Mocek told AFP, adding that "nobody in Poland is able to unite a simple majority of Poles under the same flag". Local elections held last month, the first since the 2015 parliamentary election that handed the PiS an unprecedented parliamentary majority, saw it gain some ground in regional councils in rural areas but lose in all but six of 107 mayoral races nationwide. "These are... two enemy tribes, fighting each other by all means," Mocek notes. But Norman Davies, an Oxford historian and a renowned authority on Poland, insists that despite the recent turmoil "Poles have never had it so good". Before 1918, Poland did not exist at all for 123 years, carved up between the Prussian, Russian and Austro-Hungarian empires. "From all those countries (that regained independence in 1918), Poland has been the most successful... not only in economic terms, but also in terms of political stability, constitutional consensus and geopolitical security" within NATO, Davies said, speaking at a recent security conference in Warsaw.